We are pleased to announce that Shannon Lambert has accepted the position of Environmental, Health and Safety Technical Assistant. Shannon will report to the Manager of Virginia Operations HR and EHS. He will start his new role once his replacement has been determined in maintenance. Shannon has worked for Strongwell since 2006 as a Maintenance Master Mechanic. Prior to coming to Strongwell, Shannon gained valuable knowledge performing safety audits, writing technical procedures, and working with ISO implementation and 5S compliance. 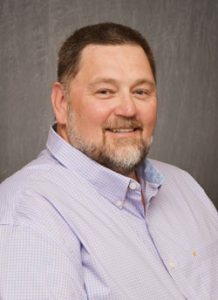 Shannon obtained his Associates Degree in Engineering Technology from Southwest Virginia Community College and his Journeyman Maintenance Technician Certification from the Commonwealth of Virginia Apprenticeship Council. Shannon and his wife Lisa live in Bristol, Virginia. They have been happily married for 27 years and have one daughter, Jessica, who is a sophomore at ETSU. Shannon’s hobbies include motorcycle riding, recreational shooting and singing. Join us in congratulating Shannon on his new role at Strongwell.